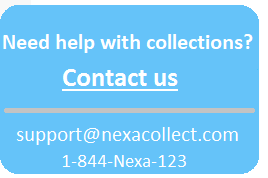 Providing collection services for over 40 years. First Financial Resources, Inc.(FFR) is a privately owned. No collection, No charge. As a leader in Accounts Receivable Management for over 4 decades. Stevens has been offering receivable management services to the utility. Action Collection Agency of Boston is a full-service collection agency. Peter Roberts & Associates(PRA), a professional collection agency. Receivable Management Corporation (RMC) Massachusetts 400 W Cummings Park #4450, Woburn, MA 01801 RMC was founded in 1990. RMC’s primary mission for more then 25 years. Gragil Associates, Inc. is a full service accounts receivable management. For over 40 years, ADA has been providing ethical, cost-effective, results-oriented collection services. Western Mass Credit Corporation provides strategic and focused debt collection services. Marcam Associates is a full-service professional organization. Established in 1999, F.H. 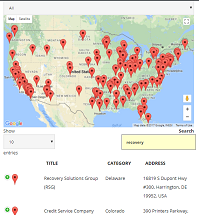 Cann & Associates, Inc. has been providing our clients with compliant, best-in-class recovery rates. DMI is a fully licensed and bonded collection agency specializing in the collection of past due accounts. Valentine & Kebartas, Inc. is a professional collection agency offering accounts receivable management. EOS CCA was originally founded as Collection Company of America in 1991. Diversified Credit Services offers Cash Flow Solution and Debt Collection solutions. Delta Management Associates, Inc. has offered superior recovery solutions to clients in the higher education.